In most cases, if your roof is approaching 20 years old, it’s nearing the end of its lifespan. That doesn’t mean it’s guaranteed to fail around that age, but it does mean that, if you’re faced with a costly repair to an aging roof, you should consider complete replacement as a viable option. However, if your roof is still relatively young and has only suffered minor damage, repair may be the most cost-effective solution. As a general note, the type of material used for your roof’s construction affects its maximum age, which, in turn, affects whether you should lean toward repair or replacement. 2. How much of the roof is damaged? As a general guideline, if over 25% of the roof is damaged, your money will be better spent on a complete replacement. Although it may cost more, if the roof is not already brand-new, you’ll benefit from newer (and higher-quality) materials that are less likely to cause headaches in the near future. However, if less than roughly 25% of the roof is damaged, and the roof is not nearing the end of its lifespan, a repair can make perfect sense. 3. How long do you plan to stay in the building? If you intend to stay in the facility for years to come, a completely new roof could be a wise investment that helps you avoid future repair costs. But, if your intended stay is short-term, it might make more sense to pass the roof replacement cost to the next tenant. 4. What is the roof’s history? In addition to the age of the roof, pay attention to the number of repairs the roof has needed to this point. If the roof is relatively young but has needed several repairs, it could be an indication that the roofing material is low-quality or that it was installed improperly. On the other hand, if the roof has been in use for over 10 years and has needed relatively few repairs to this point, it can be an indication of quality materials and installation. If that’s the case, it may be worth it to stretch the life of the roof with repairs instead of tearing it off and installing a completely new roof. 5. How healthy is the roof’s membrane? The membrane is the roof’s most important defense against the elements. If the roof’s membrane is healthy, it has a healthy foundation. The more damaged the membrane, the higher the possibility of damage to the materials underneath. Extensive damage to the roof’s membrane may be a sign to consider replacement over repair. 6. How healthy is the insulation? Wet insulation can lead to structural damage, a decrease in air quality (due to mold and bacteria), and can even decrease energy efficiency. If the insulation is wet, it’s an indication the damage has surpassed the roof’s membrane—and that’s bad news. As previously mentioned, if damage to the insulation and/or membrane is significant, a replacement may make more sense than a repair. 7. Where is the building located? And, how urgent is the repair? If your building is located in a climate that experiences significant precipitation or extreme weather for certain parts of the year, this can have a huge effect on your decision to repair or replace. 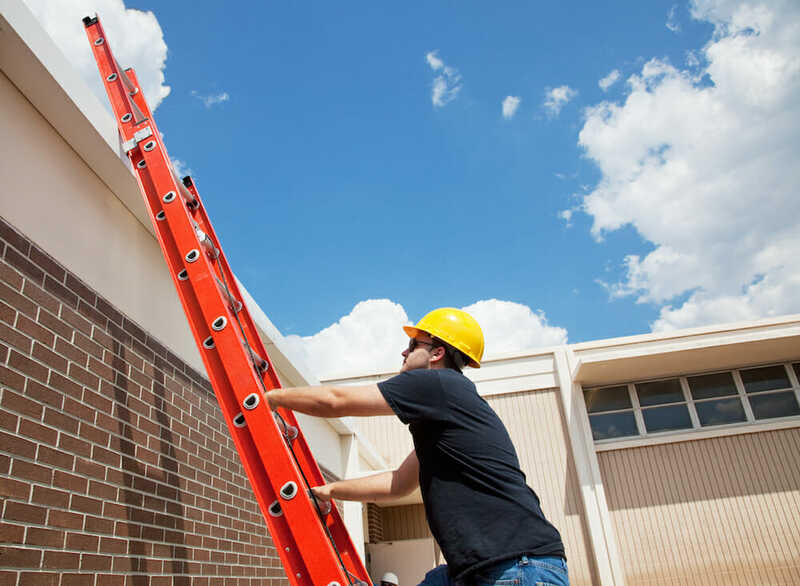 If the repair is urgent and the forecast predicts rain, snow, or extreme weather for the foreseeable future, a complete replacement would unnecessarily expose your building to the elements. You may have no choice but to go with the repair until the weather allows further evaluation. 8. What is the promise of the repair? How much mileage can you expect from the repair? What are the odds you’ll need to perform another repair within the next few years? These things are affected by the extent of the damage as well as the history and age of the roof. If you’re just placing a metaphorical band-aid on a problem that will continue to occur, a complete roof replacement might make more sense. Ultimately, the decision to repair or replace a roof can be a difficult one, based on many factors with a wide degree of variance. The smartest choice, when facing such a large decision, is to consult a roofing professional for an inspection. If you want to learn more about how Maxwell can help guide you through the big decision of whether to repair or replace your roof, just click here to contact us.